Many preteens are eager to work and earn money during the summer months. Fortunately, there are a number of good jobs available to this age group that fall within their abilities and the legal parameters. According to the U.S. Department of Labor, almost every state has laws severely restricting what type of work a tween (ages 9 to 12) can do. But look beyond commercial establishments to find fun and lucrative jobs for your young worker. Many 9 to 12 year old kids love animals and have experience caring for their own at home. Summer means vacation for many families, so it's the perfect time to offer pet sitting services to friends and neighbors leaving town. Kids this age can feed, water or exercise dogs, cats, fish, domestic reptiles and rodents while the animal's family is away. Round up clients by putting fliers detailing rates and what type of pets they are able to care for in mailboxes around the neighborhood. For tweens who like to work outdoors, summer lawn care job opportunities abound. 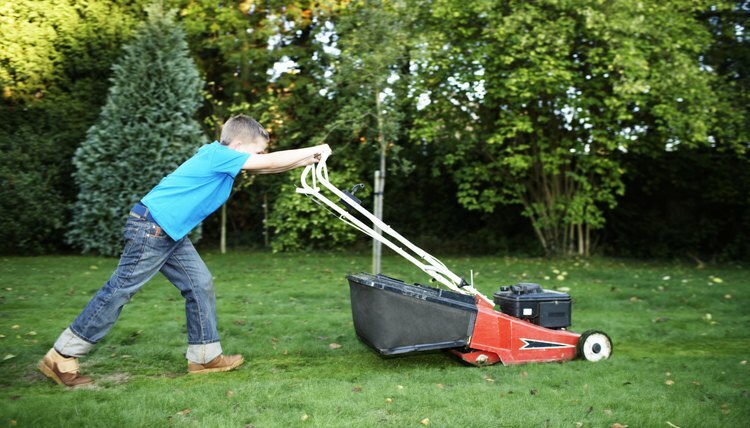 Children in this age groups may be able to mow and blow lawns, rake, weed, clean up debris or plant flowers. In agricultural communities, they may also be hired to pick fruits and vegetables of large crops. Babysitting jobs are a common summer occupation. While no special training is necessary to watch young children for their parents, many local YMCAs offer babysitting certification for children 11 to 17 through a program developed by the American Red Cross. Tweens can also beef up their babysitting resume by getting CPR certification. Fliers marketing their services and rates can be given to parents of young children in the neighborhood, or at churches or preschools. Creative tweens can turn their skill and passion for crafts into cash. Make original jewelry or funky, artistic T-shirts. Embellish diaries or CD cases with homespun artwork. Tweens who create a large enough product line can sell items at summer craft shows or at online venues like Ebay and Etsy. Whether it's washing and waxing a car or mopping and buffing a kitchen floor, kids this age can make money doing cleanup work for other people. While it can be hard to imagine your messy tween vacuuming and dusting, you'll be amazed at the transformation that can take place in when he or she is paid to clean. Fahy, Janice. "What Are Good Summer Jobs for Kids Ages 9 to 12?" 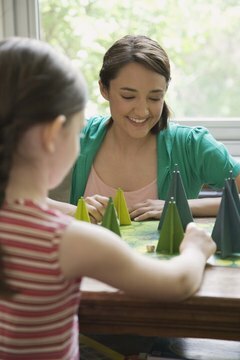 , https://careertrend.com/list-6123084-good-kids-ages-9-12-.html. 04 December 2018.